CHINESE A-lister Zhang Ziyi is an international superstar whose annual income is estimated to hit some NT$270 million (RM30.95 million). The Crouching Tiger, Hidden Dragon actress has bagged more than 10 prestigious Best Actress awards with recent wins for her role in the Wong Kar Wai-directed flick The Grandmaster. Chinese rocker Wang Feng rakes in about NT$100 million a year. He achieved greater visibility in the region in 2013, when he sat on the judging chair for reality singing show The Voice of China, but his fame is largely limited to the Chinese market. He has been married twice and has two daughters. The media was quick to weigh Zhang, 36, and Wang, 43, against each other after the beauty accepted Wang’s proposal last weekend. It happened at Zhang’s birthday party at a Beijing hotel, where Wang flew in a drone carrying a 9.15-carat diamond ring, with a romantic song entitled “The Ring” playing in the background. As celebrity friends, including Taiwanese-American singer-actor Wang Lee-hom and wife as well as China diva Na Ying, looked on, he went down on one knee to pop the million-dollar question. Her romance with Wang came to light in October 2013. It was reported that their relationship blossomed despite each of them having a partner at the time. Zhang was dating high-profile CCTV host Sa Beining, while Wang was still married to his second wife. While the actress needs little introduction, Wang has been dubbed by the media as China’s answer to Adam Levine. As a matter of fact, Wang’s portfolio isn’t all that shabby compared to his fiancée’s. He was a violin student at the Central Conservatory of Music, China’s top music school, and founded 43 Baojia Street — a rock band that took its name from the address of his school — when he was a student. The group released its self-titled first record in 1997, two years after he graduated. He made his solo debut with the album Fireworks in 2000. The lovebirds reportedly met through mahjong, a game both enjoy. Wang is said to be skilled at mahjong as well as the poker game Texas Hold ‘Em. Welcome to a land of controversy, Datuk! 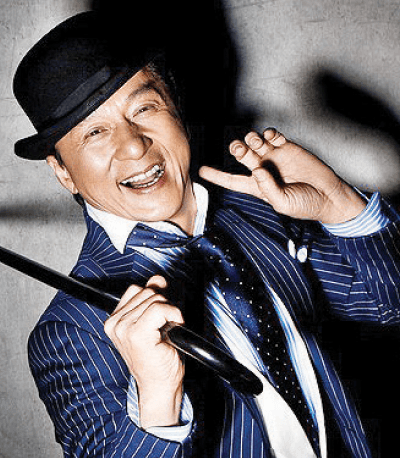 Welcome Datuk Chan Kong Sang, or — as he is more widely known — Jackie Chan! The international action film star was conferred the “Datuk” title recently in conjunction with Federal Territories Day, and this stirred up some controversy in cyberspace, Chinese-language media reports. Jackie’s son Jaycee, 32, was jailed last month in Beijing for six months after he admitted to drug abuse at his home. Jackie, 60, who is married to Taiwanese actress Joan Lin, has been romantically linked with a slew of famous showbiz women including Teresa Teng and Brigitte Lin. The China Press quotes a government source as saying that the “Datuk” title conferred on Jackie was able to boost Malaysia’s international image, especially after what the country had gone through in 2014 in terms of aviation disasters. “Chan is one of China’s most popular actors and we hope he will talk about the honour of receiving the datukship in the mainland, which in turn will help boost Malaysia-China relations,” the official said.